Home Weight Loss No Exercise? Lose Weight? It’s Possible. No Exercise? Lose Weight? It’s Possible. You may have some extra pounds around your middle and want to get rid of them. But you’ve got a life and hanging out at the gym may not be your thing. So, what can you do? I guess stay the same. Nah, just kidding. For those of you who abhor exercise but still want the benefits of it, these hacks will help you lose weight with no barbells, crunches, or willpower-breaking planks. Despite what the packets say, a study concluded that regularly using substitute sugar confuses your body. Unlike real sugar, substitute sugar doesn’t add any extra calories, so your body won’t properly burn the calories you’ve eaten or regulate how much you’re eating when the food contains substitute sugar. Even though you’re eating all the healthy sugar you can find, you may notice that you’re gaining weight. It’s better to eat natural sugar in limited amounts, such as yogurt with whole fruits. The biggest thing that you may think of to lose weight is to add more exercise, but actually, the biggest factor in losing weight is to eat fewer calories. With fewer calories, you’ll have less to burn off, which will show results sooner. Exercise is a vital part of a weight loss regimen. Not only can exercise get your body fit, but it also increases your mental and cardiovascular health. To maximize your metabolism’s speed, exercising from three to five times a week is recommended. 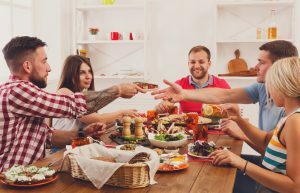 During family dinners, dinners out, and happy hour cocktails, sitting at the end of the table will help your weight loss goals. Often, when people sit in the middle of the table this makes it easier to access every kind of food. So, rather than eating certain foods they may grab chips, candy, and other unhealthy foods. Eating at the end of the table will give you more time to think about your food choices and force you to exert more effort to reach the less healthy choices. Eating at home is a great strategy to save money and keep your weight loss goals. Many times, when you go out to eat, you may go for the first thing you come across or the food that looks or smells the best. Though these foods may look and smell great, most takeout foods are not good for you. They’re often full of salt, calories, and the portions tend to be much larger than you would have at home. Another benefit of eating at home is that you can control the ingredients in your food. You don’t have to worry about preservatives or hidden ingredients because you are making the food yourself. 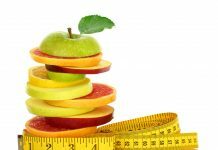 So, to boost your weight loss management efforts, you’ll want to pull out a recipe book or watch some YouTube videos and learn to make some healthier foods. Not only will you feel great about cooking for yourself, you’ll also be able to teach your children healthier habits. The Journal of Obesity and Overweight published a study that showed that diets full of rice and beans were linked to reduced weight in 14% of the participants of the study. Participants who didn’t eat beans and rice lost weight, but much less and a lot slower. Both of these foods are excellent for your diet because they are high in fiber and low in fat, which will keep your blood sugar at an appropriate level. Brown rice is much better for you than white rice, so, whether you’re looking to get rid of your belly or tone up, rice and beans are a great addition to your diet. You’ve been told many times that you should eat breakfast. you know, for your health. But, why exactly is breakfast so important? Breakfast is linked to many health benefits such as weight loss, lower risk of diabetes, and increased productivity throughout the day. It’s best to make breakfast your largest meal of the day and include proteins such as lean meats (chicken, fish), eggs, and oatmeal; fruits, plain yogurt, and vegetables. These will help sustain you throughout the day and resist the temptation of less healthy foods. Researchers in Britain did a study and found that by skipping breakfast, you’ll more easily notice unhealthy food, purchase it, and that food high in calories will light your brain’s reward system up like a lighthouse. Without breakfast, your willpower will be weaker. Often used in curries, turmeric is found in the Malaysian jungle. The main ingredient of this spice is curcumin which is known to burn fat well. So, the next time you make a stir-fry or some other dish, you’ll definitely want to add turmeric. This spice can decrease fat tissue development, so you may see results faster. 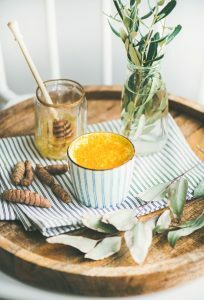 Turmeric can’t do it all on its own, pair this bright orange spice with more fruits, vegetables, water, and exercise. Many Hungarian dishes such as cabbage, green peppers, cucumbers, and tomatoes are pickled. Pickles, or rather the vinegar in them, is a great way to lose weight. Vinegar can lead to lower blood pressure, sugar levels, and fat development. Be cautious of pickles, though, they may contain a lot of salt. If you don’t enjoy pickles or have digestive issues when eating them, you can add vinegar to another dish and get the same benefits. Weight loss is a process that never ends. to get long-lasting results, you’ll want to set your life up to support your journey. Stock your home with healthy foods, take the stairs, and reduce stress as much as possible. Finally, if a healthier option is available, choose it. If not, move it.